Entering M.I.T., he was one of those who received a wartime degree, having served as a Second Lieutenant and military aviator in World War I. After service, he turned to business, joining in 1922 the Pressed and Welded Steel Products Company, with which he was associated for twenty-four years. into public service. He served in various positions, mostly in the field of procurement, for which he was given the Medal for Merit for distinguished civilian service. In 1946 he turned full-time to the Government, first with the Department of Commerce as Under Secretary, then with the Marshall Plan’s Economic Cooperation Administration, as its Administrator for a time, and then with the Department of Defense as Deputy Secretary. Nine years later he returned to business, but in 1961 heeded the call of the President, and assumed his present position, soon becoming also Chief United States Representative to the eighteen-nation Disarmament Conference. A living refutation of the dichotomy so often attributed to government and business, you have proved that character and ability are equally at home in both. As a skilled administrator, a patient and tolerant diplomat, and a wise public official who can work simultaneously with NATO allies, State Department colleagues, Capitol Hill lawmakers and the press, we pay you honor. Honoris Causa, DOCTOR OF LAWS. 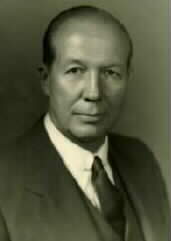 Foster was born on 27 April 1897 and died on 15 October 1984. He was buried in Section 30 of Arlington National Cemetery. 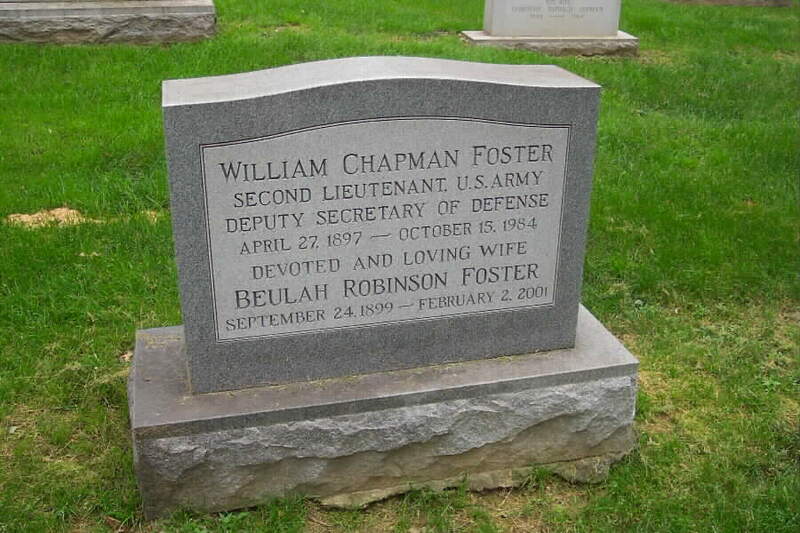 His wife, Beulah Robinson Foster (24 September 1899-2 February 2001) is buried with him.